The CAS Challenge (CAS520) features repetitive stamping. 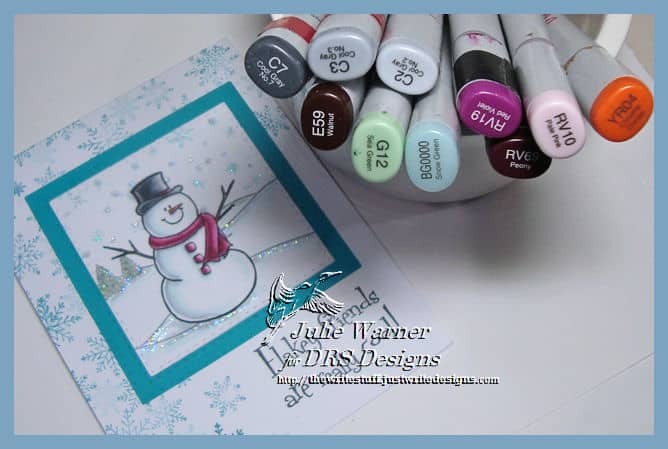 And since it’s still technically winter, I have a quick snowman card. 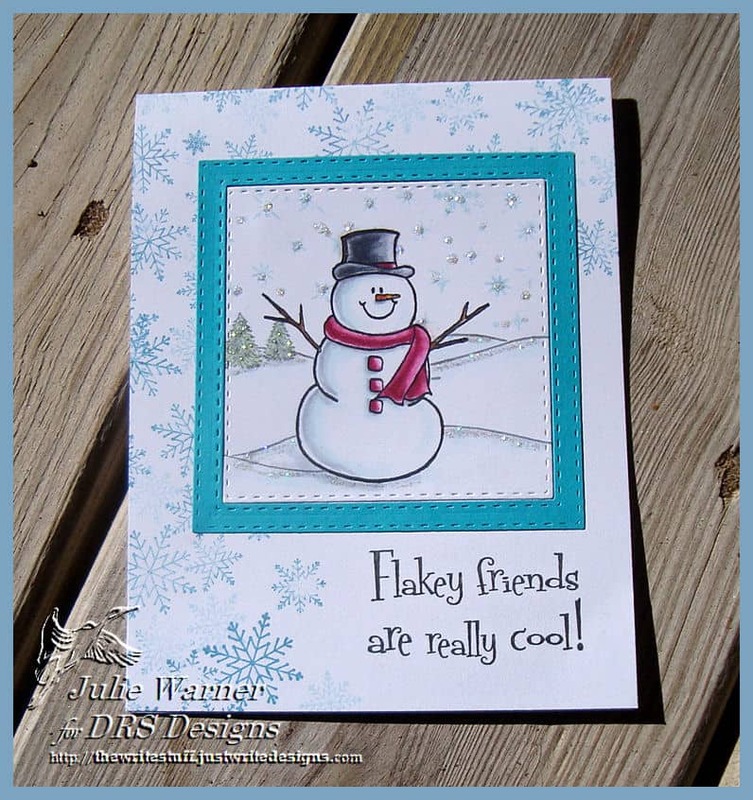 I stamped Mr. Flakey onto white, colored him then die cut. 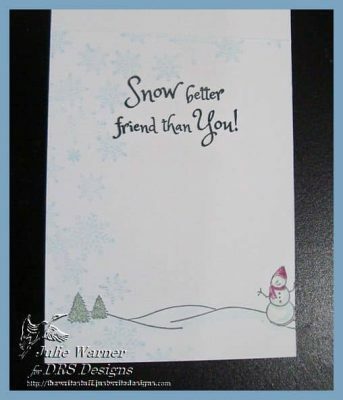 The greeting & snowflakes were stamped directly onto the card front. 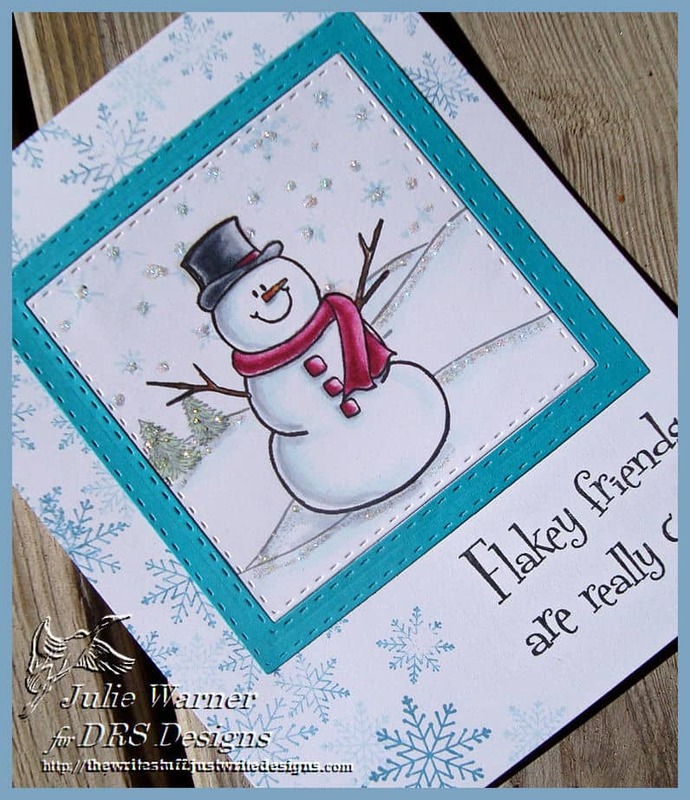 A turquoise frame was added along w/ a little stickles for sparkle. I can’t believe I stamped the greeting on the card front & it wasn’t a disaster. I hardly ever do that because..it’s just asking for trouble where I’m concerned. Here’s the inside & the Copics I used.